Source | John Antrobus, "Plantation Burial," 1860, oil on canvas (The Historic New Orleans Collection, accession no. 1960.46). Rights | The Historic New Orleans Collection, accession no. 1960.46. 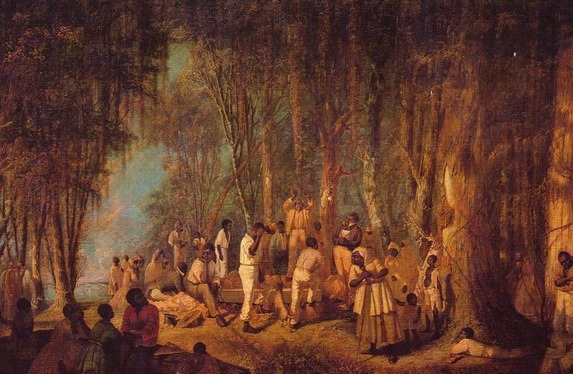 Cite This document | John Antrobus, “A Plantation Burial,” HERB: Resources for Teachers, accessed April 23, 2019, https://herb.ashp.cuny.edu/items/show/1034.